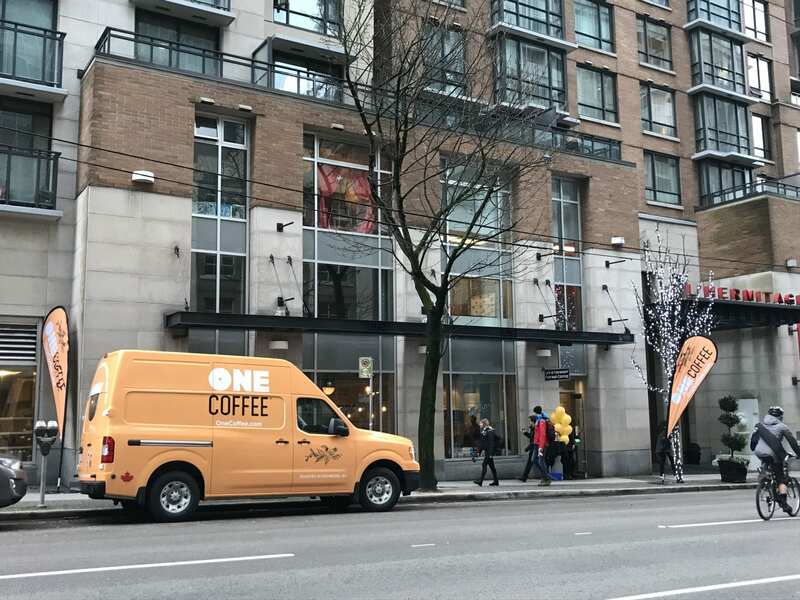 Locally sourced ingredients, and the city’s best Belgian Waffles, Medina Café is one of the hottest breakfast spots in Vancouver. 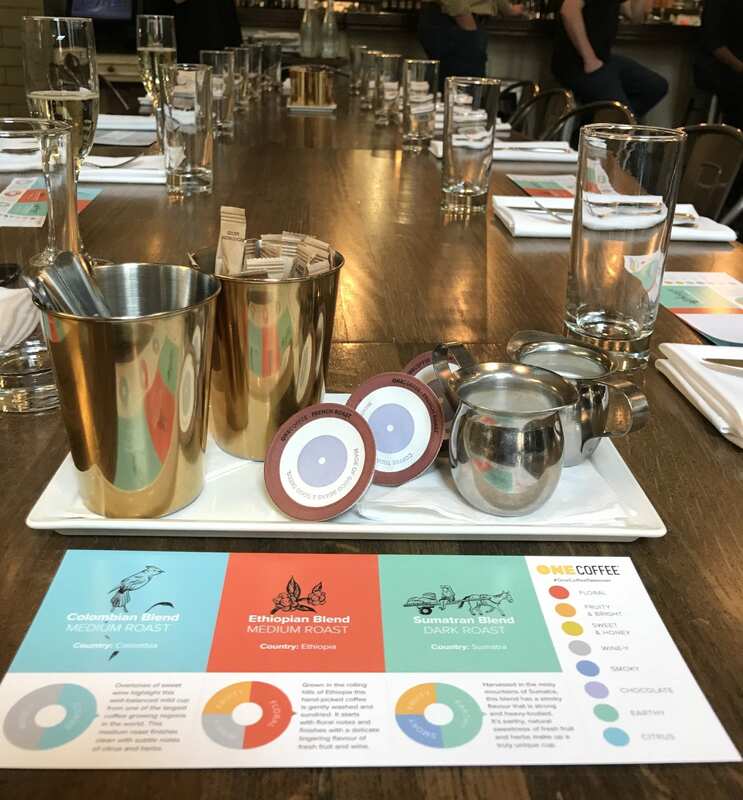 Last month, we took over the café to host a OneCoffee and breakfast pairing event. We served three of our varietals and paired them to match Medina’s most popular dishes. The Fricasse included sunny eggs atop, braised short ribs, roasted potatoes, onions, Applewood smoked cheddar, arugula and grilled focaccia. Our earthy Sumatran Blend paired best with this because the sweet, heavy-bodied blend matched the smokiness in the ribs and the cheddar while the coffee regions natural earthiness complemented the peppery flavours of the arugula. The delicate notes of fruit and citrus in this sweet, medium roast Ethiopian coffee harmonized well with the salmon and offsets the creaminess of the avocado and cream cheese. The vegetarian option was the Frittata with roasted butternut squash, braised kale and leeks paired with our medium-bodied Colombian Blend. This smooth, winey coffee with natural acidity, blossomed against the perfect fluffiness of the eggs set with the vegetables and herbs. 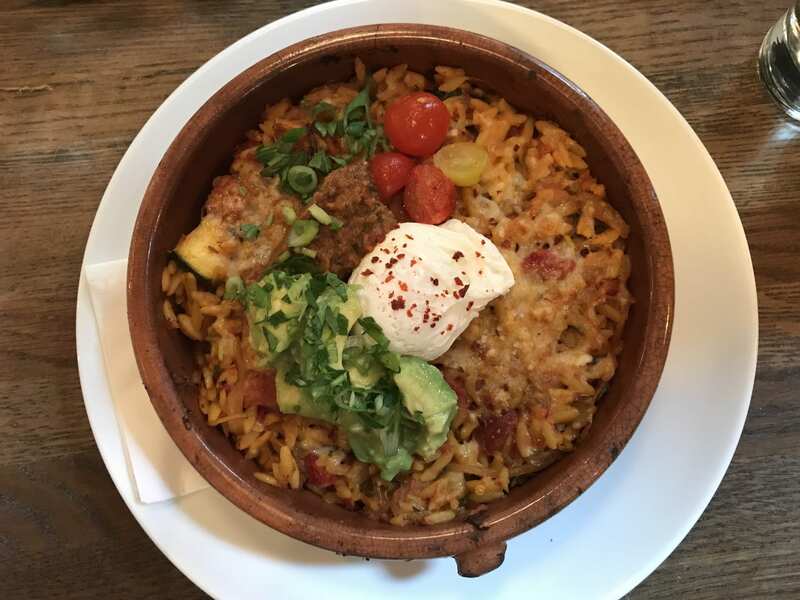 If you were looking for something with a bit of kick, many loved the Paella which was a Sunny Egg, Orzo, Spicy Chorizo Sausage, Seasonal Vegetables, Grana Padano, Avocado & Spicy Charred Tomato Salsa. Paired best with the OneCoffee Sumatran Blend, the spiciness in the coffee accentuated the spices in the chorizo and the salsa while the coffees richness was highlighted against the egg, grana padano and avocado. For dessert, everyone devoured the specially-made Milk Chocolate Lavender Mocha sauce infused with OneCoffee, on top of those famous liege-style waffles.